The maker of Jack Daniel's whiskey says a campaign against the Iditarod by People for the Ethical Treatment of Animals had nothing to do with its decision. PETA, however, is celebrating. ANCHORAGE, Alaska (AP) — The maker of Jack Daniel’s whiskey has dropped its long-running sponsorship of Alaska’s Iditarod sled race, the company said Wednesday. He said a campaign against the Iditarod by People for the Ethical Treatment of Animals had nothing to do with the decision, which will affect the 2019 race in March. “As a sponsor of The Iditarod for 15 years we have been particularly impressed with the utmost care in which the animals are treated by the race veterinarians, the dog sled teams and everyone associated with this event,” Jansen wrote in a follow-up email to The Associated Press. Iditarod spokesman Chas St. George said organizers were notified by Jack Daniel’s that the company made the move to focus on sponsorships in other areas. “We are confident that we will continue to grow the race with new sponsorship opportunities,” St. George said in an email. 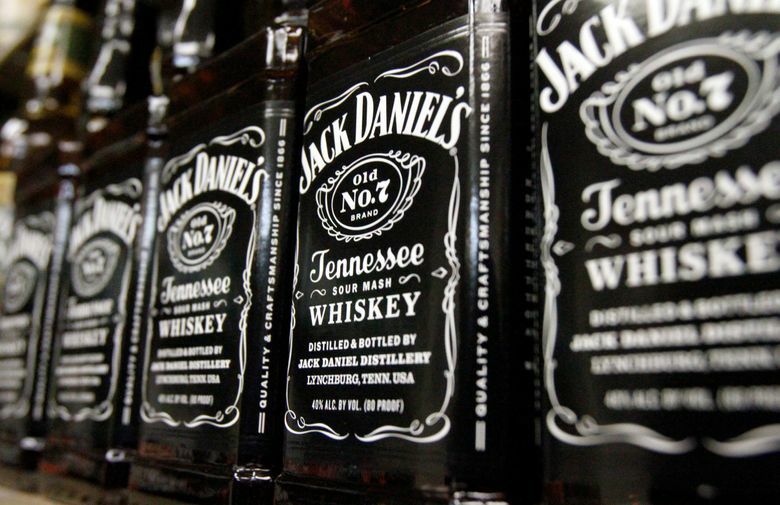 PETA said Jack Daniel’s did the right thing. Spokeswoman Tricia Lebkuecher said the organization believes it had an impact on the decision following public protests and after thousands of PETA members and supporters flooded the company with emails urging the company to end its ties with the race. PETA said it first contacted Jack Daniel’s following the deaths of five dogs connected with the 2017 race. One dog died in this year’s race as well, with the cause of death blamed on aspiration pneumonia. “This is a victory for all the dogs who’ve been forced to run this cruel race,” Lebkuecher said in a phone interview. PETA says its tally of dog deaths totals more than 150 in the Iditarod’s history. That number is disputed by race officials, who say there are no records of dog deaths during the early years of the race, and an accurate count is not available. In June, the board for the race implemented a major change regarding dog deaths. Organizers will now remove mushers from the race if one of their dogs dies while on the trail. If a dog’s death is caused “solely by unforeseeable forces,” then a musher may be allowed to stay in the race, according to the change. Iditarod officials also responded after one if its veteran mushers, Hugh Neff, was banned from competing in the 2019 Yukon Quest International Sled Dog Race over dog care issues. The Iditarod also has been suffering financially and lost Wells Fargo bank as a major sponsor last year. Organizers have blamed animal rights activists for pressuring sponsors. 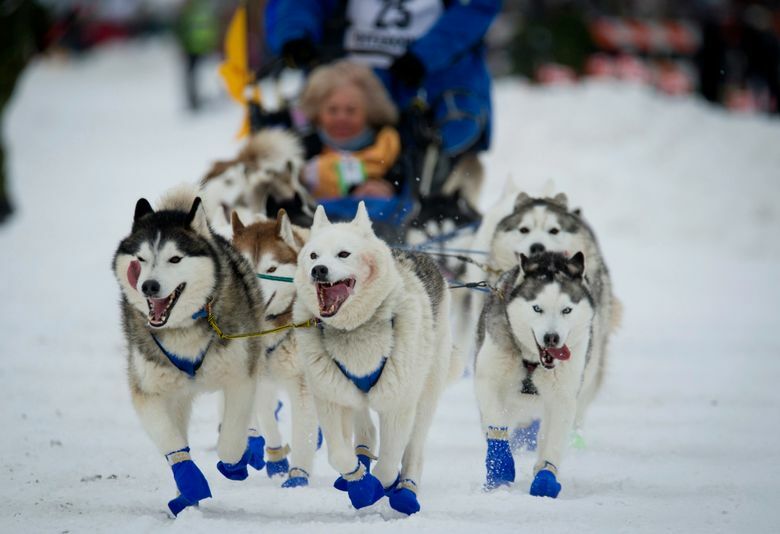 Last year’s race also was marked by fallout from the Iditarod’s first-ever dog doping scandal. Race officials announced that the team of four-time champion Dallas Seavey tested positive for an opioid painkiller after his second-place finish in 2017 but said they could not prove he gave tramadol to his dogs. Officials didn’t punish Seavey but changed race rules to make mushers responsible for any positive drug test. Seavey, who won four titles between 2012 and 2016, denied giving drugs to his dogs and sat out this year’s race in protest.